Update: You can make a lot of gold with Kyparite, but if you want to step it up and make thousands of gold you should read my personal favorite guide. 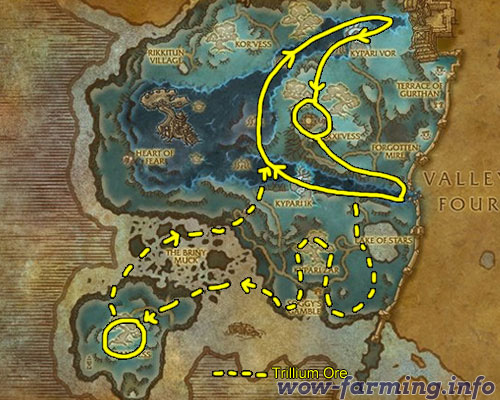 Kyparite is only found in Dread Wastes and Townlong Steppes. It spawns around the Kypari Trees found throughout both zones. You will also find a lot of it in the scar that gouges Dread Wastes. 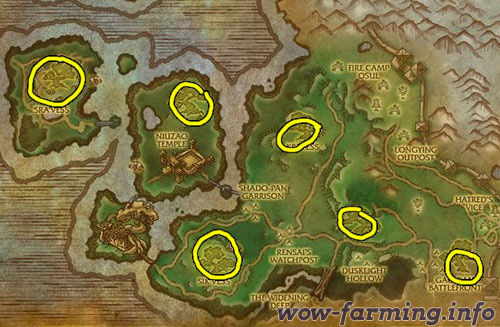 The next best place to farm Kyparite (the only other place) is in Townlong Steppes around the Kypari Trees. It’s not found anywhere else, so you’ll want to fly from tree to tree, look around, and continue on.